AquaDuck is an exciting “water coaster” located aboard the Disney Dream. Developed for the Disney Cruise Line by Disney Imagineers, this elevated water coaster is the first of its kind at sea. Go on a thrilling journey up, down, around and off the side of the ship, through the Forward Funnel—down a span of 4 decks! Enjoy the thrill of riding the AquaDuck without even getting wet! 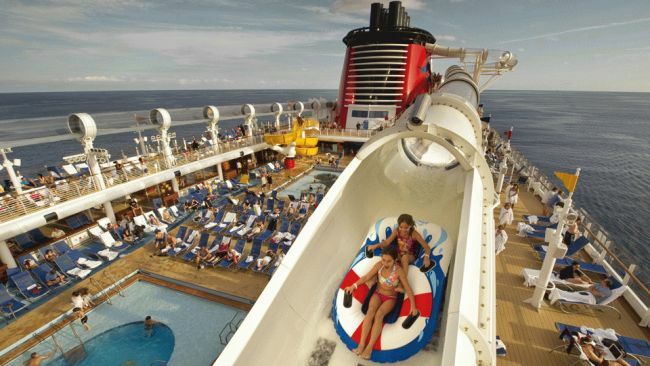 This entry was posted in Disney Cruise Line and tagged acrylic tube, adults, aquaduck, breathtaking views, coaster, decks, disney, Disney Cruise Line, disney fantasy, disney imagineers, eye view, family kids, funnel, journey, lazy river, plunge, pools, span on May 14, 2013 by John Donahue. 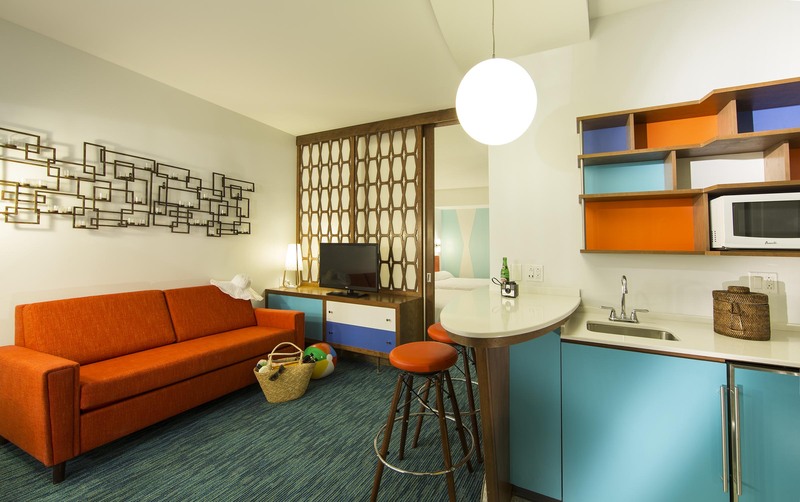 Aulani is Expanding and Now You Can Stay 5 Nights for the Price of 3! At Aulani, A Disney Resort & Spa, you can enjoy many inclusive features – from entertainment, to kids’ activities and kids’ club, to amazing water features and more! There’s something to delight every member of the family, and soon there will be even more to enjoy, as Aulani is expanding its offerings to include additional pools, dining options, and new places to relax and unwind. For a limited time when you book a five-night stay, you’ll get two of those nights free! Book this special offer July 26 – Nov. 10, 2012, for stays most nights from Sept. 10 – Dec. 18, 2012. * A five-night minimum length of stay is required. 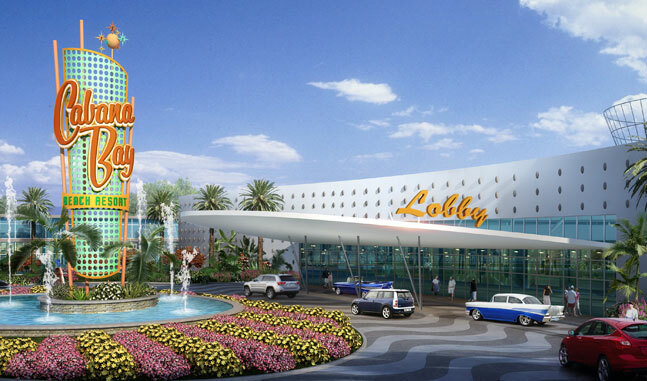 Scheduled to begin in September 2012 and conclude in mid-2013, the expansion is happening in conjunction with the final build-out of the resort. Click here for more details. Since the opening of Aulani, A Disney Resort & Spa in August 2011, Guests have enjoyed outstanding amenities and accommodations at this oceanfront Resort. And today, Disney continues to look for ways to enhance your vacation experience. 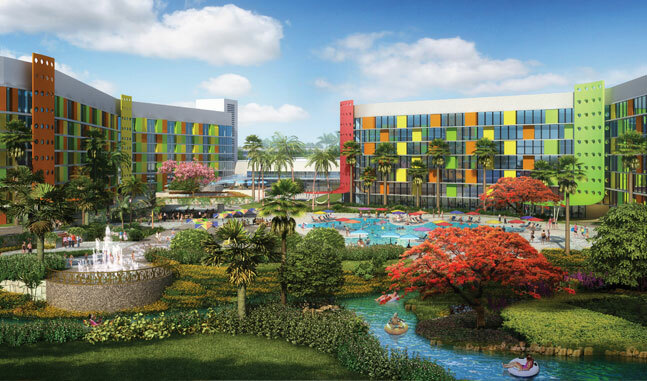 With this in mind, if you visit between mid-September, 2012 and mid-2013, you may notice some of Disney’s work in progress as the Resort is expanded. Rest assured, you can still anticipate a fun-filled vacation at Aulani during this period. 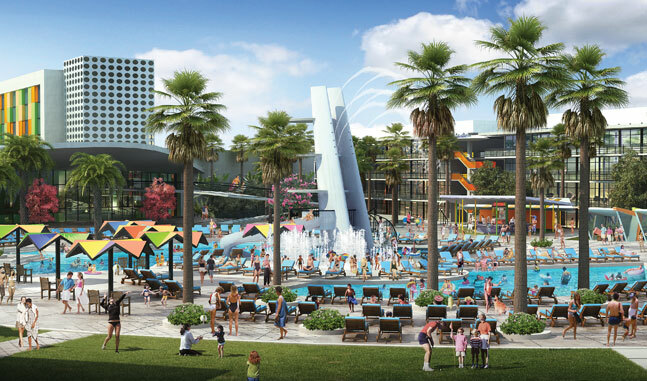 Waikolohe Valley will soon delight Guests with more water features and dining options. During the pool area expansion, much of Waikolohe Valley will remain open—including Waikolohe Pool, the lazy river, slides, whirlpool spas, Rainbow Reef and Menehune Bridge. However, Makai Preserve will close permanently this fall; Wailana Pool (the quiet pool) and Wailana Bar will close for an extended period. To accommodate more Guests, Starlit Hui will move to a larger venue. Be aware that Starlit Hui will close for approximately one month as it transitions to its new location. 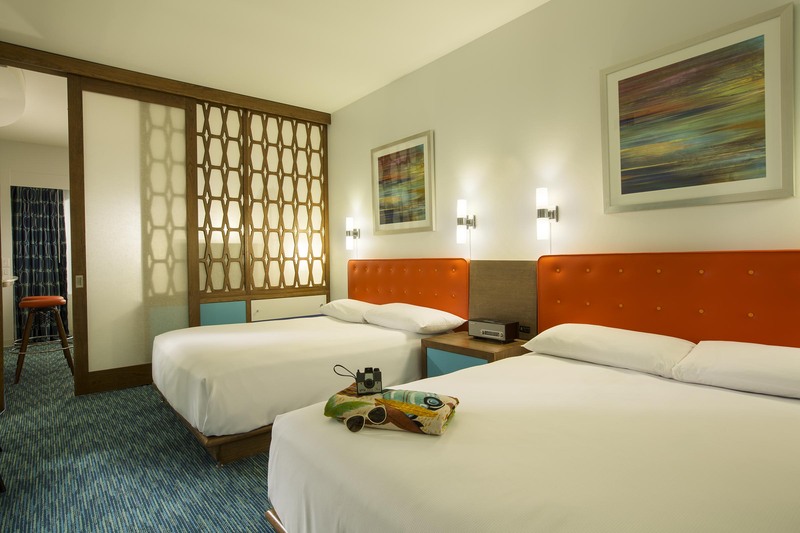 Aulani will soon offer more accommodations for Guests. 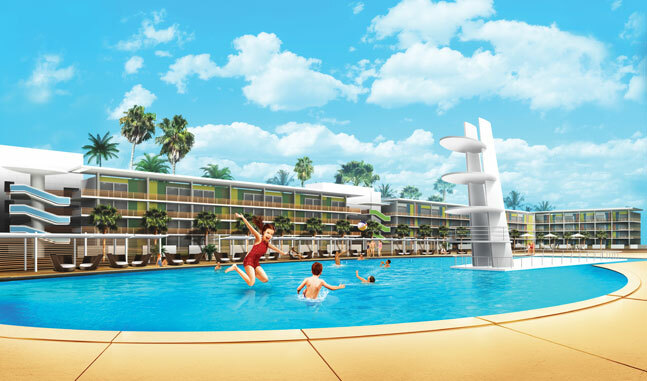 Upon completion in mid-2013, Aulani will feature additional rooms and villas in 2 towers. To provide shaded outdoor seating and accommodate additional Guests in inclement weather, an overhead trellis with retractable awnings will be added to the outdoor dining area at Makahiki. While enhancements are underway at Makahiki, restaurant operations will continue with interior seating only. As a result, the Disney Character Breakfast-Aunty’s Breakfast Celebration at the Makahiki—will be extended to 6 days a week! This experience will be available Tuesday through Sunday, and Resort Guests will enjoy priority for advance reservations. Finishing touches are being put on the building exteriors—including work on the decorative beam joints. While this work is in progress, you may notice some scaffolding and covered walkways at Aulani. Mahalo (thank you). Your patience is greatly appreciated during this enhancement period. What is the timeframe for the enhancements planned in fall 2012 at Aulani, A Disney Resort & Spa? Enhancements in Guest-facing areas are scheduled from September 10, 2012 through the middle of 2013. Note: Some decorative beam work may be visible in non-Guest areas prior to this time period. Will Makahiki be closed during this enhancement period? No. While enhancements take place, Makahiki operations will continue with interior seating only. As a result, the Disney Character Breakfast—Aunty’s Breakfast Celebration at the Makahiki—will be extended to 6 days a week! This experience will be available Tuesday through Sunday, and Resort Guests will enjoy priority for advance reservations. What is the decorative beam work? Finishing touches are being put on the Resort, and work on the decorative beam joints on the exterior of the buildings will soon be completed. While this work is in progress, Guests may notice some scaffolding and covered walkways at Aulani. Guests may hear and/or see the work taking place during your visit. We appreciate your patience and understanding. Please know that we are making every effort to ensure your comfort and enjoyment while Aulani undergoes expansion. *5 Nights for the Price of 3 Nights promotion for guests who stay five consecutive nights all between September 10, 2012, and December 18, 2012. Book from July 26, 2012, through November 10, 2012. The number of rooms allocated for this offer is limited. Excludes Resort fees and taxes. Not valid in combination with any other discounts or offers. Offer excludes suites and 3-Bedroom Grand Villas. Additional per adult charges may apply if more than 2 adults per room. Offer applied once per reservation. Check for offers for other lengths of stay. Advance reservations required. Subject to restrictions and change without notice. Limit 2 rooms per reservation. This entry was posted in Aulani, Disney Special Offer and tagged additional details, amp spa, disney resort, expansion project, kids activities, kids club, lazy river, member of the family, menehune, pool area, quiet pool, rainbow reef, special offer, travel window, vacation experience, valley pool, water features, whirlpool, whirlpool spas, work in progress on August 17, 2012 by Rick Howard.